The Surf Capital of the Riviera Nayarit and one of Mexico’s newest Magical Villages is causing a stir in America, Europe and Asia. One of the Riviera Nayarit microdestinations is causing a stir throughout the continent and beyond the borders of the Americas: we’re talking about Sayulita Pueblo Mágico, the Riviera Nayarit’s Surf Capital. Whether it came about via the efforts of the Public Relations office of the Riviera Nayarit Convention and Visitors Bureau (CVB) or by interest of the media themselves, the news on the web is nonstop. 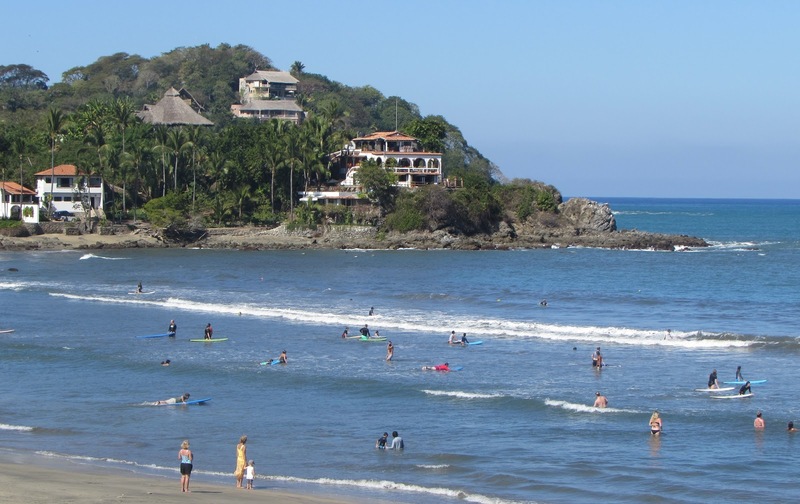 “There are several factors that have increased interest in Sayulita, such as when we brought the Stand Up Paddle Championship here last year,” commented Marc Murphy, Managing Director of the Riviera Nayarit CVB. USA Today, the website with the most followers in the United States, published a list in January on 10 hotels to kick off the New Year with the Haramara Retreat in Sayulita among them. On Yahoo Travel, Sayulita was touted as one of the top 16 trendiest places to go. The UK’s BBC ran a story where they mentioned the Guamuchil tree, famous for being home to giant iguanas, which is located right in Sayulita. And though it might seem odd, even as far away as Vietnam they recommended Sayulita among the 50 places you can’t miss. When American fashion designer, Carol Lim, answered the questionnaire for 10 Magazine, she declared that Sayulita is among her 10 favorite places to go. And, speaking of fashion, in Germany the designer Rosetta Getty created a dress inspired by Sayulita.